As already announced in the previous post, a visit to the Breitner exhibition was on the list of things to do in November. And so it happened. George Hendrik Breitner (1875-1923) was a Dutch impressionist painter. He’s most famous for his work of every day life on the streets of Amsterdam. During his lifetime photopgraphy made significant steps in its development and became more and more accepted. 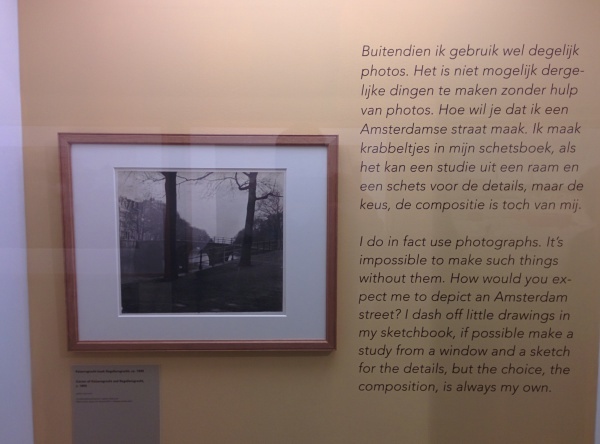 Therefore, it’s no surprise that, besides making sketches in the open air, Breitner embraced photography as a means to help him register the street life in Amsterdam. The exhibition shows us the way in which Breitner used sketches and photographs in the making of his large paintings and vibrant watercolours. The above image clearly illustrates how Breitner used photography. 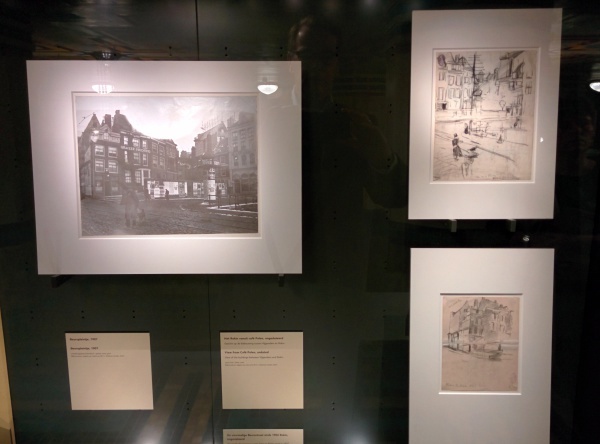 The two photographs on the right of ordinary Amsterdam alleys, eventueally resulted in his painting on the left. The painting is not an exact copy of one of the images, but it uses certain elements and an overall atmosphere. Breitner used a mix of photographs and sketches that later resulted in paintings. And there he says it himself. For Breitner it goes without saying that he used photography, but the choice, the composition is always his own. He used photography as a tool – although his photographic work has a respectable artistic value by itself – and that, in my opinion, is different from the way Marlene Dumas applies photography in her work. 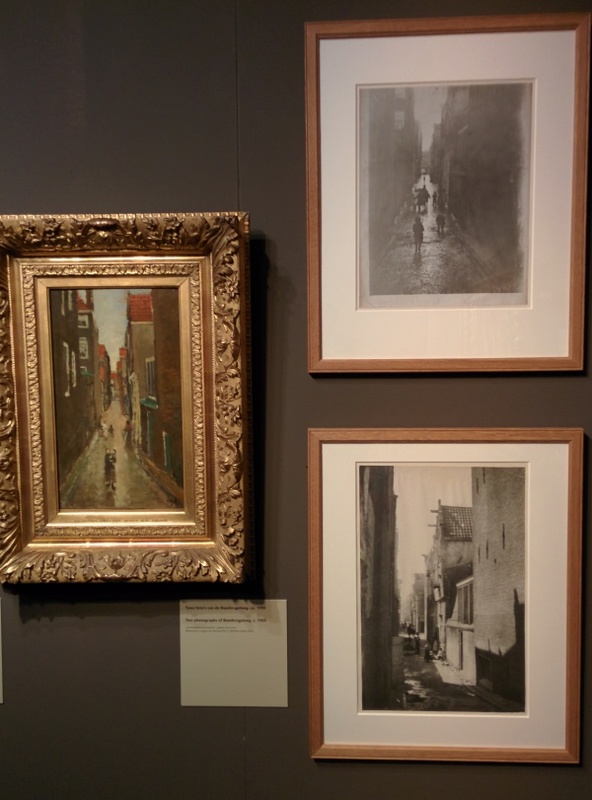 The paintings, sketches and photographs from George Hendrik Breitner can still be seen in Amsterdam until 1st of February 2015. Information about the exhibition can be found here.